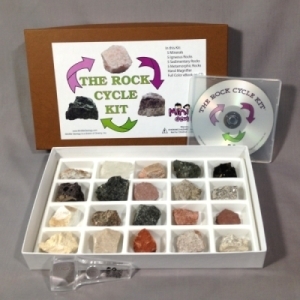 Cycle Kit has 20 large rock and mineral samples and a full-color PDF eBook on CD that will teach you about the properties of rocks and minerals, how the Rock Cycle works every day throughout our Earth and helps you to learn about geology through activities and puzzles. You will be fascinated by how minerals turn into rocks; rocks turn into different rocks then break down again into particles of sediment ready to begin the cycle again. 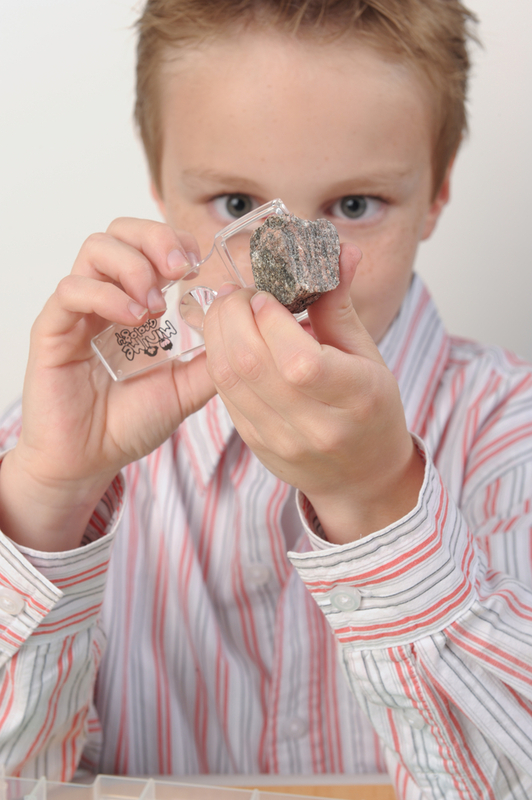 Click here to download a sample of the Rock Cycle Kit eBook. Kids and teens love this kit because of the large rock and mineral samples and the information, activities and puzzles in the eBook. Teachers and parents love the kit because it teaches experiment testing, deductive reasoning and thinking skills.